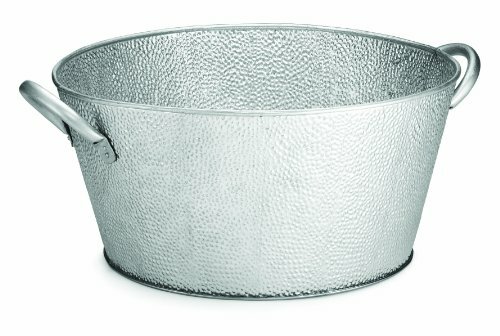 TableCraft 18.5"X15"X7" Round Beverage Tub Galvanized Pebbled Texture, Stainless Steel. Indoor and Outdoor use, keep your Beverages Cold all Year Around. If you have any questions about this product by Tablecraft, contact us by completing and submitting the form below. If you are looking for a specif part number, please include it with your message.